A short that stretches with you and protects your skin from the sun - what more do you need on the course? This tech short from PGA TOUR features motion flux fabric that comfortably moves with you and UPF 50 year round sun protection to lessen your sun exposure. 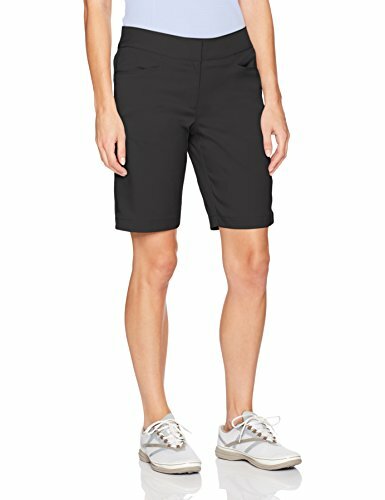 With square pockets, welt pockets for your scorecard and a comfort stretch waistband, this golf short is a must for the sporty lady.